Attention, radical chicas! Digging the laidback California style? Flipping for 80s retro style? You are going to be loco for the Q Swimwear 1am Sunback Tank One Piece. This throwback style in geometric prints of teal, lime, orange, and violet will have you feeling, like, totally righteous! Best of all, when you try on this tubular one piece you’ll want to keep it on all day long and party until 1:00 am! That's because the Q Swimwear 1am Sunback Tank One Piece is built with the needs of serious female swimmers in mind. 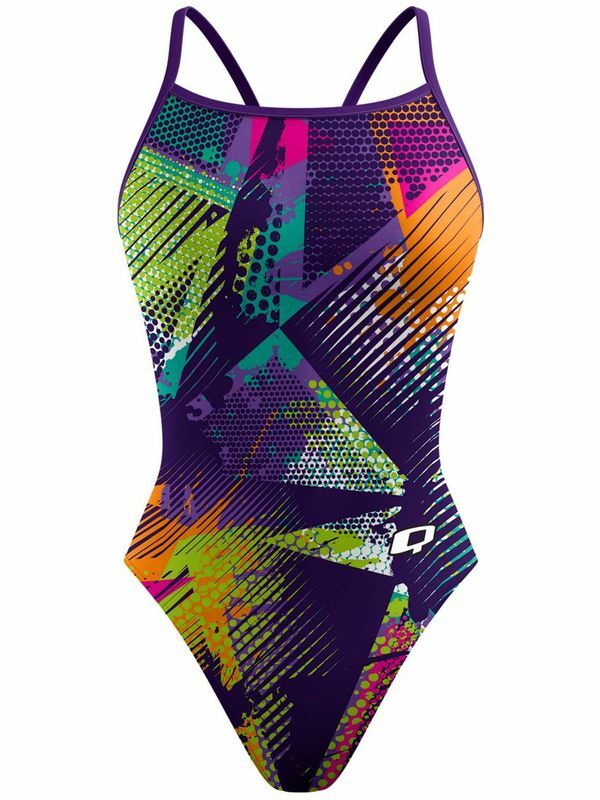 Built to last 20 times longer than conventional swimwear fabrics, this one piece will stay looking amazing swim after swim.